And it’s time I did the same. As any self-respecting Halo fan knows, Bungie – the creators and original custodians of the franchise – released the first instalment of the franchise, Halo: Combat Evolved, way back in 2001. It was a huge success and propelled both the studio and the Xbox platform into the stratosphere. And like many other fans out there, I was seduced by it all. I was taken aback by the resplendent beauty of the undulating terrain on the second mission, and the sheer scale of things from then on. I was deceived by the first mission (on the POA), amazed by the second and then wowed by everything that followed, including the curve-ball that was the Flood. I was hooked, and proceeded to worship the ground that every Bungie employee walked on. They could do no wrong. And even when fans complained about the Arbiter perspective in Halo 2, I remained silent, simply taking it all in, enjoying a colourful insight into the inner workings of the Covenant. It significantly expanded the fiction. After that we had Halo 3, ODST and Reach and all impressed. Sure, there were niggles with all of them but I still worshipped the hallowed turf in Seattle. I still had faith. And like many others, I finished the fight – each and every fight that was put in front of me by Bungie. But it would not and could not last forever. Eventually, Bungie announced their intentions to walk a different and more independent path, leaving Halo behind in the process. I was stunned. Shocked. Disappointed. But the reason behind these emotions was different to those experienced by others in the community. I wasn’t disappointed by the fact that Bungie wouldn’t be making Halo any more, but by the prospect that Halo might not be made at all – that the story of John-117 and Cortana might never be continued. And we would all be left behind as fans, with John remaining in stasis forever – a fate unexplored. I needed to know if John would survive and if Cortana would be saved from a madness brought about by intelligence and a desire to learn. I needed to know more of the mysterious Forerunners and the briefly mentioned Precursors. I needed to know if the UNSC and the Sangheili would co-exist in peace. And I needed to know if the remaining Spartans would live on. It was these, as yet, unanswered possibilities and questions that left me disheartened, not the departure of Bungie. But let me make it clear, they were still an amazing studio, filled with amazingly talented people, just without the amazing game that they had originally bestowed upon us. But from the fires of the explosive Halo saga rose a new custodian, a phoenix, 343 Industries – a studio filled with equally talented individuals, but with one resounding difference to every other studio in existence, to make Halo. It was their sole purpose – nothing more, nothing less. And then I saw what they could do. More importantly, though, what they wouldn’t. They left the original gameplay of Halo: Combat Evolved untouched, and instead focussed on improving the overall look of the original game with the Anniversary edition, along with some delightful story pieces in the form of new terminals. 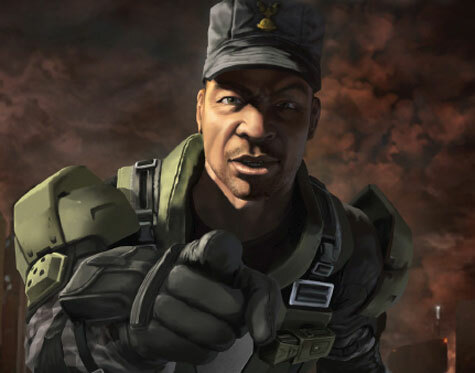 The previous animated shorts in Halo Legends and the short stories in the Evolutions collection had also demonstrated a desire to tell a story. No. Not to tell a story but to continue it and expand the fiction. There was light at the end of the tunnel. 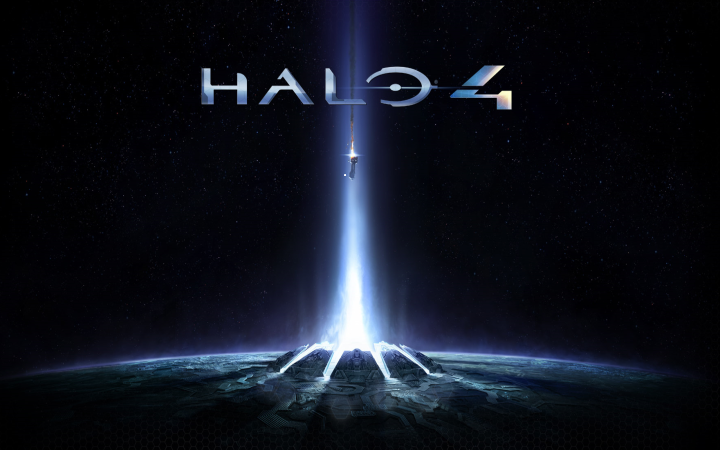 When Halo 4 was eventually announced at E3 in 2011, I was both relieved and ecstatic. John would live on and so would the rest of the universe. But other factors made this revelation even more significant, namely the novels – the new novels. Previously, any fiction produced outside of the games was a separate entity and not really included in the narrative of the FPS. But that has changed. 343 Industries have taken the bold step to align and integrate the written fiction with the games. So – officially – John-117 was no longer the last remaining Spartan and he now has the possibility of actually meeting up with the other Spartans in the future. But in combination with a plethora of possibilities we also had the Forerunners. Previously enigmatic in the Halo universe, the Forerunners were now revealed via the Greg Bear Novels in wonderful detail. But even in revelation, 343i were still very careful with the Forerunners, ensuring that a great deal of that mystery still remained, effectively maintaining the bait – a dangling carrot of curiosity. I could now see that 343i had a plan and a vision. But more importantly, they had respect – respect for the franchise and respect for the fans. “Cash Cow”. It’s a common term that had been floating around the community since we learned Microsoft would own Halo, in every guise. And with good reason. Halo is a financial nugget of success. And after the release of Halo: Combat Evolved, Microsoft knew there was a future for the fledgling franchise and probably demanded a second game immediately – double-time. And when that second game arrived, it made over $125m in the first twenty-four hours of release and was the most popular game on Xbox Live for two years straight. Halo 3 was even more successful, making $175m in the initial twenty-four hours and over $300m in a week. 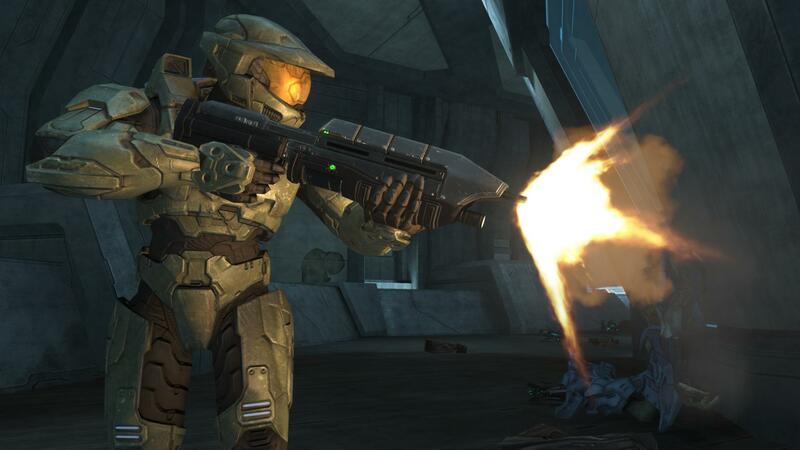 Halo, both as a game and as an investment was synonymous with success – a no-brainer. But though Microsoft may appear to be an all-consuming entity, much like the Borg, they do know their stuff. You don’t take what remains of a franchise and repeatedly shaft both it and the fans. You, instead, call in some expertise and nurture it. Microsoft knows this. Taking something like Halo and shamelessly bleeding it dry will ultimately turn the fans away and ruin the reputation of the software giant. 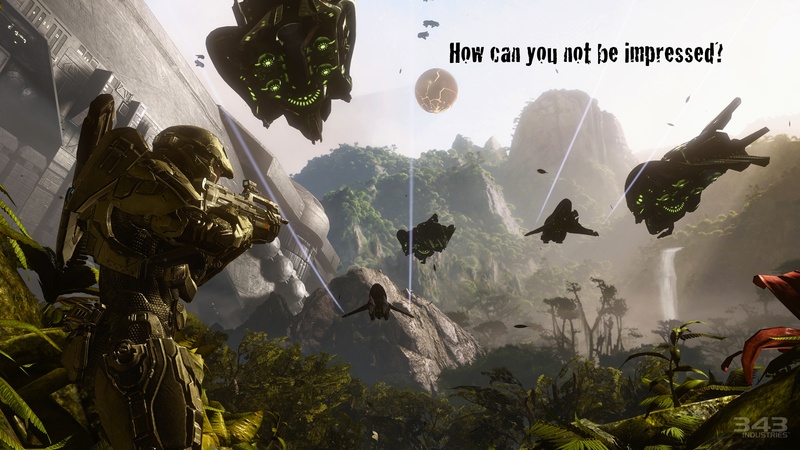 That’s why they employed Frankie and Co.
343 Industries was born from a need to do it properly and respectfully. If the previous paragraphs have failed to persuade all but the most vehement of objective fans, then I invite those very same fans to read the remaining section. You, as a fan, represent a sliver of public opinion. And as a reluctant fan, your opinion, in terms of Halo, falls in favour of Bungie and not 343i. So ask yourself this: Why? Why are you so opposed to 343i taking the reigns? Is it because they’re not Bungie? Or because you feel they’re taking the franchise in an undesirable direction? If it’s the former and not the latter, then nothing written here or anywhere else will stop you from defending the previous, Bungie-made, Halo games and slating the new, 343i-made, trilogy. And you have obviously forgotten that Frank O’Connor is a former employee of Bungie, and was one of the writers there. He knows his stuff. And though Frankie is bald, there’s absolutely no chance of the sun bleaching those valuable brain cells into a “supposed” Microsoft-driven hue of green, with the faint print of previous US presidents. He’s smart. After all, he used to work for the studio that we all held so dear and still do, Bungie. And they don’t employ the idiotic or the misguided.